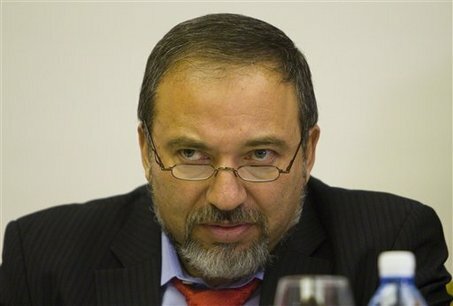 Associated PressIsrael's Yisrael Beiteinu party leader Avigdor Lieberman is seen before giving a speech at the 'Conference of Presidents' in Jerusalem, Thursday, Feb. 19, 2009. 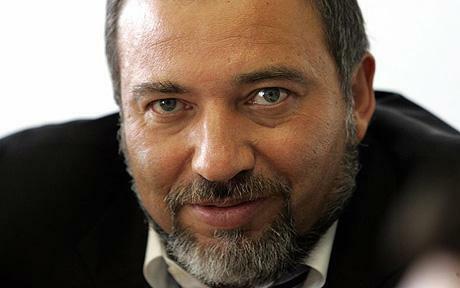 Far-right Israeli politician Lieberman endorsed Benjamin Netanyahu for prime minister on Thursday. Benjamin Netanyahu won the endorsement Thursday of an anti-Arab politician who emerged from Israel's election as a kingmaker, virtually ensuring that the hawkish, U.S.-educated politician will once again become prime minister. One reason that a rightist government could be unstable is that Lieberman's secular agenda puts him squarely at odds with religious parties like Shas, clouding prospects. Israel's ceremonial president, Shimon Peres, held talks with political parties before choosing a candidate to form a government. If he names Netanyahu, as seems likely, then Netanyahu will have six weeks to create a coalition. The other possibility for a broad coalition -- an alliance of Likud, Kadima and the center-left Labor Party -- is also a longshot. Labor's leader, former Prime Minister Ehud Barak, has already said he will sit in opposition. A former nightclub bouncer viewed as an anti-Arab extremist is the main political beneficiary of the Gaza war and could hold the balance of power in a new parliament after elections. When the Israeli public roared approval for the assault on Gaza, it was expected that the direct political beneficiaries would be the leaders of the ruling centrist Kadima Party. But opinion polls published on Monday indicated that the Right-wing Avigdor Lieberman, who emigrated to Israel from Moldova in 1978, is poised to win 16 seats for his Yisrael Beitanu (literally “our Israel”) party in the general election on Feb 10. The result, when combined with the 28 seats forecast for the Right-wing Likud Party headed by Benjamin Netanyahu, the former prime minister who is nicknamed "Bibi", would put a Right-wing coalition ahead of the current centrist government. Kadima, led by Tzipi Livni, the foreign minister, would be relegated to opposition. "Whereas until today the polls were predicting a Bibi government, from now on we must say: a Bibi-Lieberman government," said the daily newspaper Ma'ariv. The prospects for US President Barack Obama, and his new Middle East peace envoy George Mitchell, are worrying.Not only does Mr Netanyahu dismiss the peace efforts of the international community, but he might depend on a man viewed as an extremist for his parliamentary majority. Mr Lieberman, 50, has a long history of verbal attacks on Arabs - not just Palestinians living in the Occupied Territories, but his fellow citizens in Israel. In 2003, he was reported to have suggested that Palestinian prisoners being released from Israeli jails should be bussed to the Dead Sea and drowned. In the Israeli parliament, the Knesset, three years later, he called for the execution of any parliamentarians who met members of the then Hamas-led Palestinian government. "World War II ended with the Nuremberg trials," he said. "The heads of the Nazi regime, along with their collaborators, were executed. I hope this will be the fate of the collaborators in the Knesset." The comment was widely regarded as an implicit attack on Arab members of the Knesset, leading some Jewish members to denounce him for "racism". Mr Lieberman has always counted on the support of the one million or so Russian-speakers who immigrated to Israel in large numbers after the collapse of the Soviet Union. But Mr Lieberman’s forthright manner – seen by supporters as “straight talking” – has started to attract a growing number of other Israelis, many of them born in the US, who see him as the champion of Israeli nationalism. Two star recruits to his party Yisrael Beitanu are Danny Alayon, a former Israeli ambassador to America and Uzi Landau, who like Mr Lieberman was once a lieutenant of Mr Netanyahu. Alone among leading Israeli politicians, Mr Lieberman is a settler - one of nearly 500,000 Israelis who live on land seized from Palestinians in the Occupied Territories in contravention of international law. From this precarious position he argues that Israel must grow more ethnically "homogeneous". That goal should be achieved through two means, he said: Israeli borders should be redrawn to cut out a few large Arab towns, whose inhabitants would then be stripped of Israeli citizenship but would become citizens of a new Palestinian state. In return, Israel would absorb all the land now held by settlers. He also demands that every citizen must pledge an oath of allegiance, or be stripped of their citizenship. At a political rally in Jerusalem last week, the audience cheered when speakers referred to Israel’s 1.2 million Arab citizens as “a fifth column”. Analysts believe that the Gaza conflict, which followed a six-month ceasefire with Hamas, reinforced the Right-wing Israeli belief in the futility of making concessions to Palestinians. "The effect of the war on the general election will be to restrict the future government's room for manoeuvre," said Roni Bart of the Institute for National Security Studies, an Israeli think tank. "People are saying every time we give up land for peace, it doesn't lead to better times but the opposite." That sentiment is echoed by Mr Lieberman's new supporters. "I'm not against Arabs, I too want to live in peace," said Felix, a busker on the streets of Tel Aviv. "But the truth is that we cannot give away our land - we have such a small country and what is there of it to give away?"